Heave Ho Cleanouts is ready, willing and able to tackle just about any job you've got. 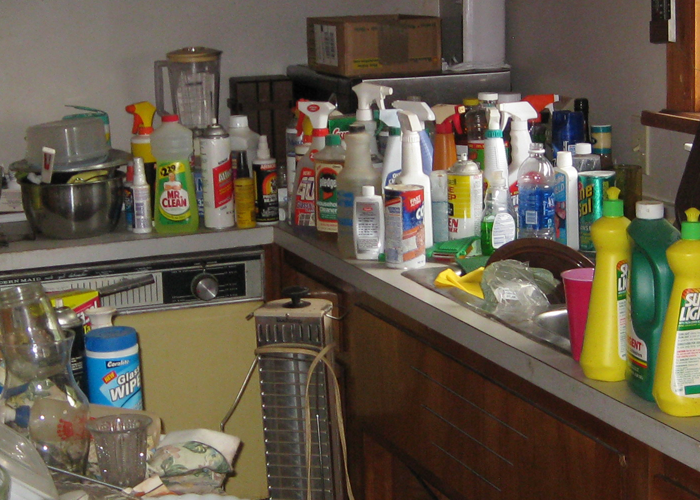 We have the tools, people and equipment to make quick work of any items you need removed. Heave Ho Cleanouts also handles carpet removal and small demolition jobs. Got that swing set, jungle gym or playhouse in your backyard that the kids have long outgrown? Maybe a shed that's falling apart or looking shabby and forlorn as the weather has taken its toll? Call us to take it apart and remove it for you—hassle free! Got that old piano or organ nobody plays anymore and you can’t even give it away? Let Heave Ho Cleanouts handle it for you, we will remove it with care! Dragged something out to the curb and want it gone right away? Give it the old HEAVE HO! Contact us for quick pick-up and removal. 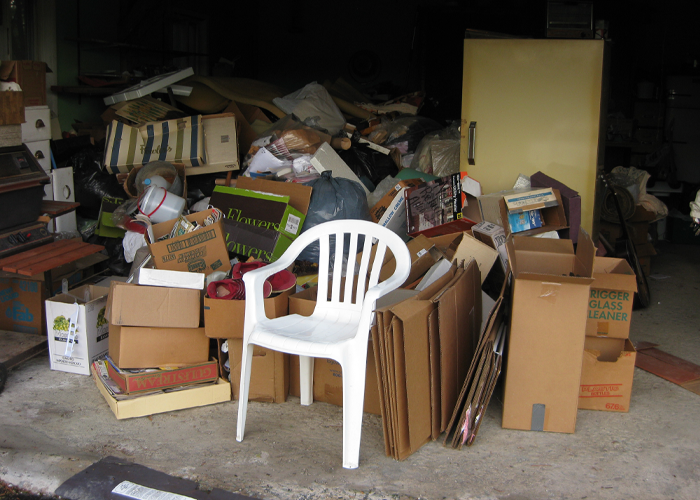 Stuck with a bunch of leftovers after your yard or garage sale is done and really don't want it back in your home? Call us and we'll be right there to take it away for you! If you would like us to, we will donate your items to your favorite charity—just let us know! Hanging on to old paints and varnishes, batteries, appliances or electronics just because you aren't sure how to dispose of them properly? We have the knowledge and equipment to safely transport, dispose of or recycle many hazardous household materials—and we do it responsibly, always. ​​​*For more information on how we responsibly recycle electronics and hazardous materials, read this. Let us do the work so you can relax! Heave Ho Cleanouts believes that taking proper care of our environment is one of the most important things we do for ourselves, our families and our planet. By reusing, repurposing and recycling items instead of throwing them away, we help to minimize what ends up in the landfill. Recycling reduces the amount of gases produced during decomposition that contribute to global warming. It also conserves resources like water and electricity, and creates jobs. Hazardous materials must be correctly disposed of—not just thrown in with regular household garbage—in order to help keep our environment clean and safe. For Broome and Tioga County residents, the Broome County Hazardous Waste Facility has designated drop-off dates and can provide you a list of items that they will accept for disposal. Electronics are considered hazardous waste, and must be disposed of or recycled according to New York State guidelines. Starting January 1, 2015, a Disposal Ban will be enforced for all covered electronic equipment (CEE). Consumers need to be aware that there will be fines imposed on anyone dumping unwanted electronics in non-designated places. Heave Ho Cleanouts understands these new guidelines, and will always dispose of and recycle all materials responsibly. 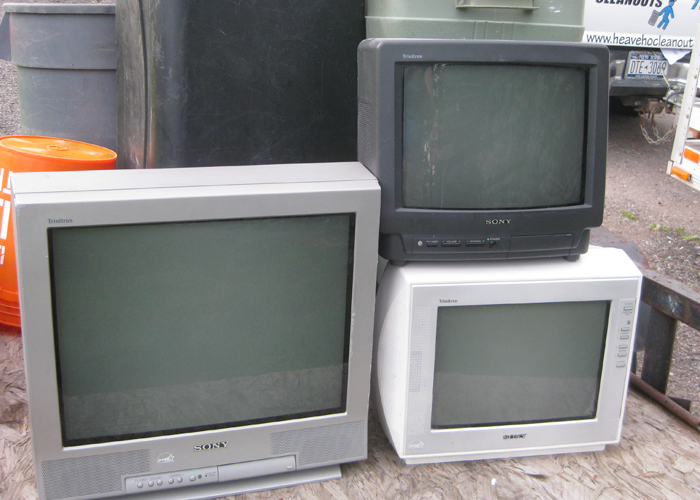 If you need help with used household electronics and other hazardous waste items (or if you're not sure what they are), let us take care of it for you! Contact us anytime to arrange for proper pick up and disposal of all your household or small business hazardous waste and used electronics. Heave Ho Cleanouts grew from our recognition of the need for a reliable and trustworthy junk removal business that could take care of smaller jobs that many larger disposal companies would not do. We specialize in removing items that our clients may not have the time, inclination or equipment to handle by themselves, including furniture, appliances, yard waste, hazardous waste, electronics and much more! 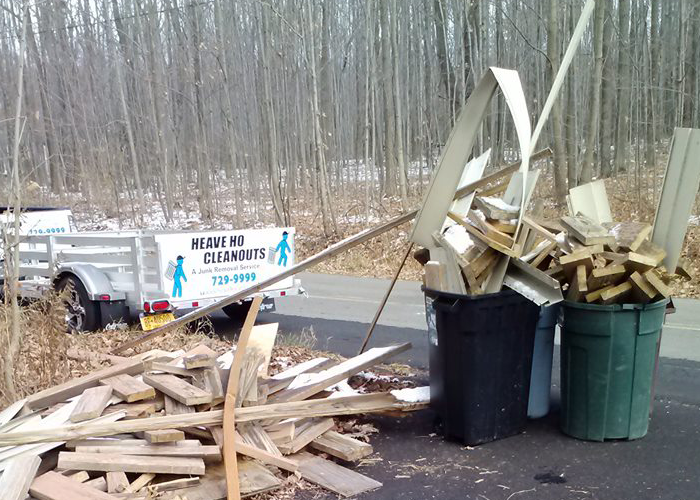 ​Locally owned and operated, the owners of Heave Ho Cleanouts grew up in the Binghamton area, so we take special pride in providing fast, professional and courteous service to our neighbors and customers. If you need help with any cleanup or removal task, no matter how small, Heave Ho Cleanouts wants your business. We pick up and dispose of all items properly, and stay eco-friendly by recycling as much as we possibly can! We show up on time, work cleanly and efficiently, and complete the job within the promised timeframe. Our customers are satisfied customers, and many of our jobs come from referrals and repeat business. We aim to please! 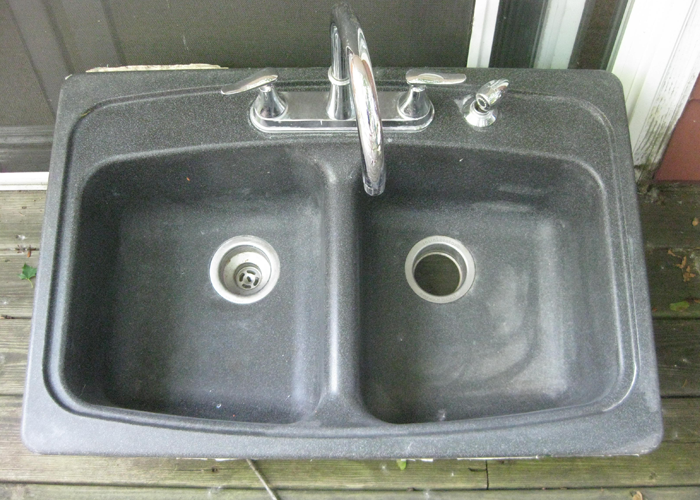 Our prices are affordable and extremely competitive, and we offer free estimates. We will gladly provide you a price quote over the phone on most small jobs. Larger jobs will require us first to see the work location and items for removal, so we can ensure your estimate is as accurate as possible. There are no hidden fees or charges, and to keep things simple for our clients, we accept cash or check. 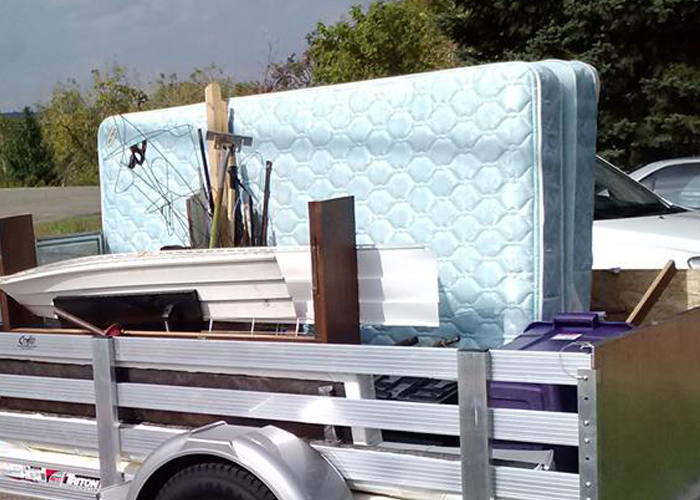 If you live in Broome County or surrounding areas and realize that you have more junk than you can handle, contact Heave Ho Cleanouts and let us take it away for you! Your privacy is safe with us! Heave Ho Cleanouts will only ever use your email address and personal information to contact you for purposes of responding to your inquiry. Your contact info will never be shared with or sold to any third party, and we will never send you unsolicited junk email. "I had a bunch of junk that a previous owner had left behind in my new home. got right to work and took care of it all in a very professional manner, and the price was very reasonable too!" Proudly serving Broome County and surrounding areas: Binghamton, Conklin, Endicott, Endwell, Kirkwood and Vestal. © 2015 Heave Ho Cleanouts All rights reserved.